Located 396 m above sea level in Maungataniwha Ranges, Fern Ridge Hideaway offers tranquil eco-friendly accommodations with free WiFi and a private patio offering an outdoor bathtub. Guests enjoy a free bottle of local wine upon arrival. 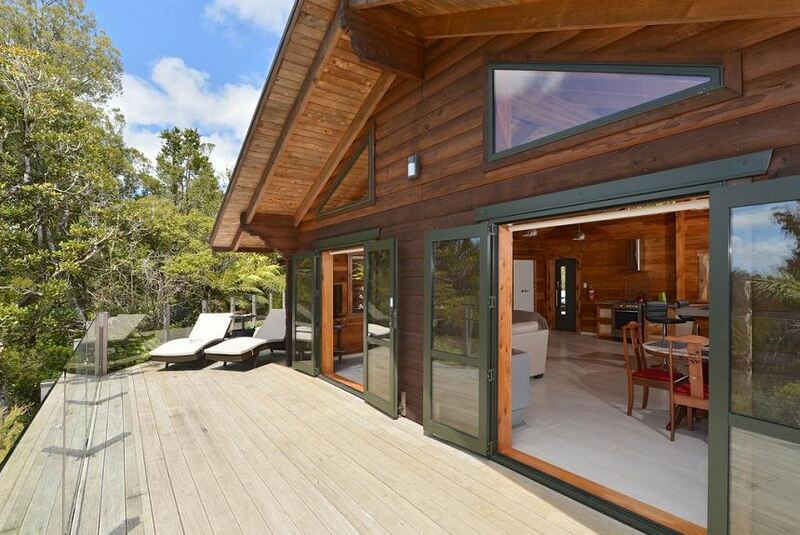 Boasting a peaceful tree-top setting, Kaitaia Fern Ridge Hideaway is 20 minutes' drive to Kaitaia and 55 minutes' drive from Kerikeri. Cape Reinga is a 90-minute drive. A range of picturesque hiking trails and bush walks are within 30 minutes' drive. The self-contained 2-bedroom house features a fully equipped kitchen, a dining setting and a lounge area with satellite TV. There are 2 bathrooms which include a shower, slippers and a bathrobe, one bathroom has a bathtub. Guests can enjoy an outdoor meal in the BBQ area, surrounded by native bush and distant sea views. A self-service laundry is available.